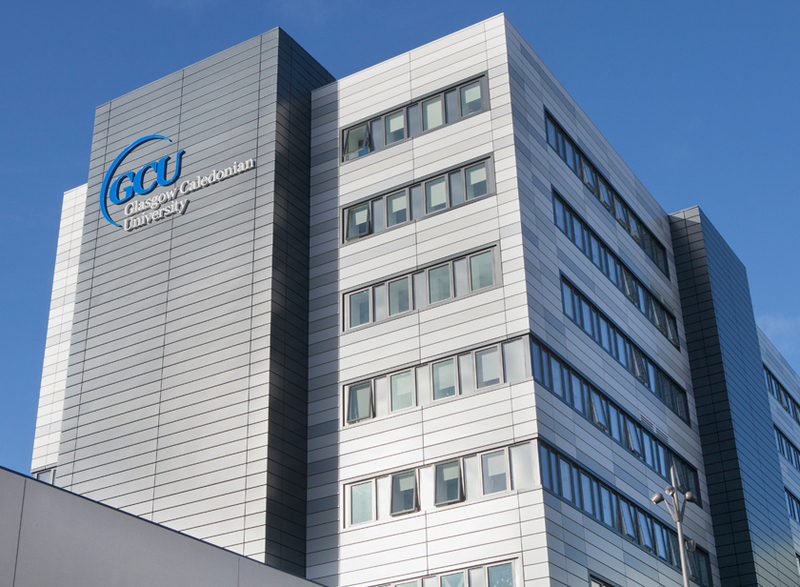 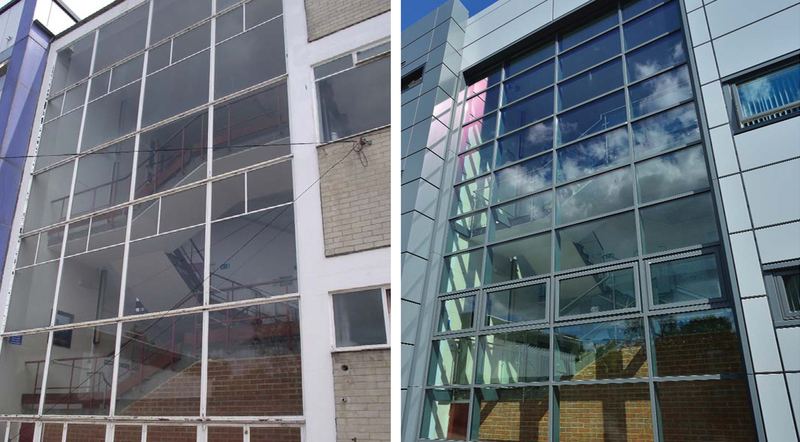 Scope of Work: Aluminium overcladding and replacement windows, new roofing, replacement of curtain walling, new entrance canopy and associated works. 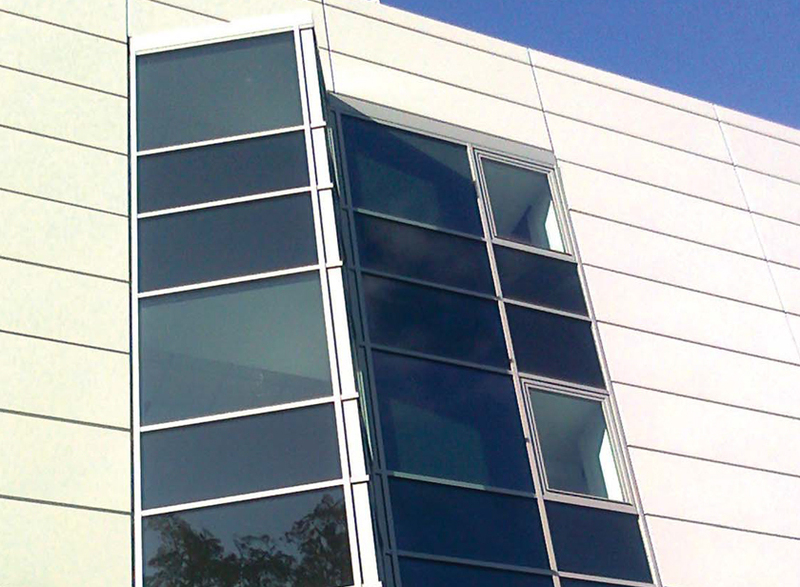 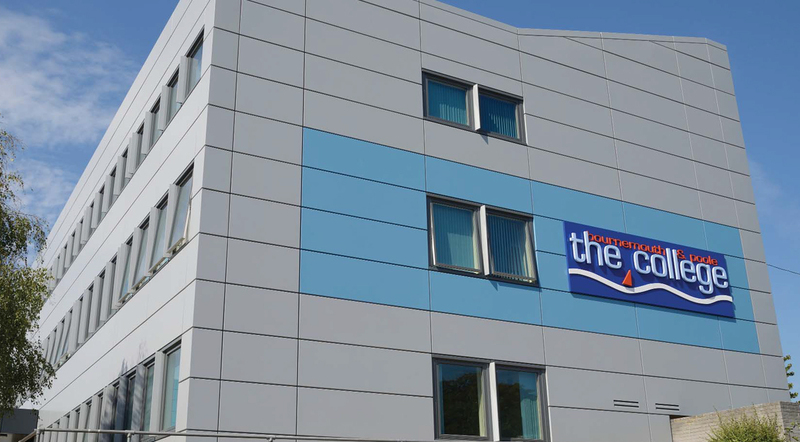 Insulated aluminium rainscreen overcladding, replacement windows and single ply over-roofing. 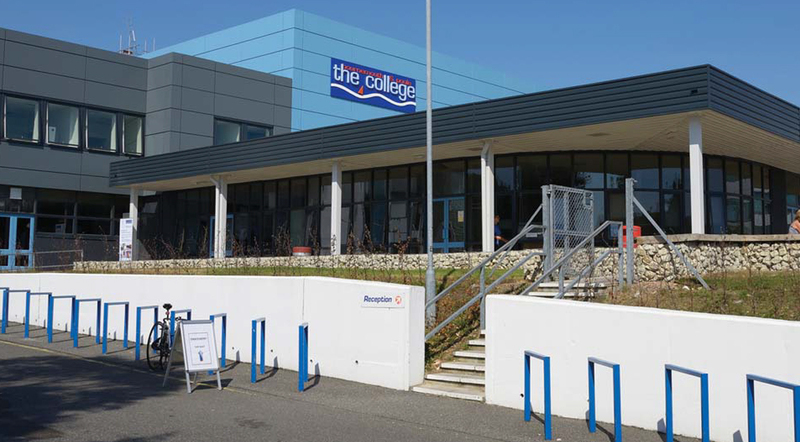 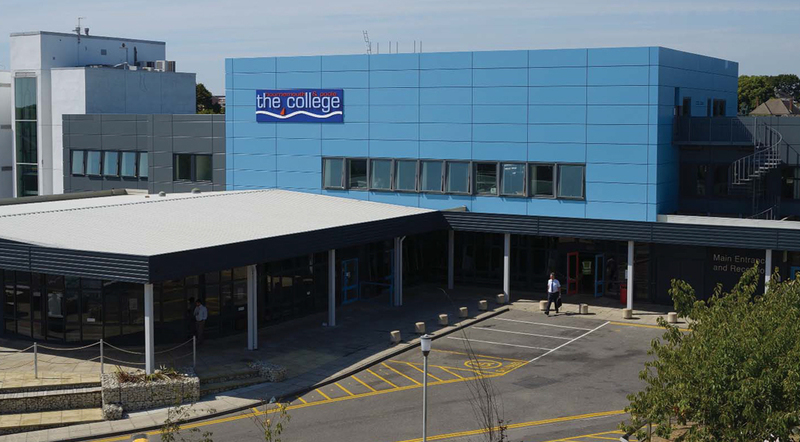 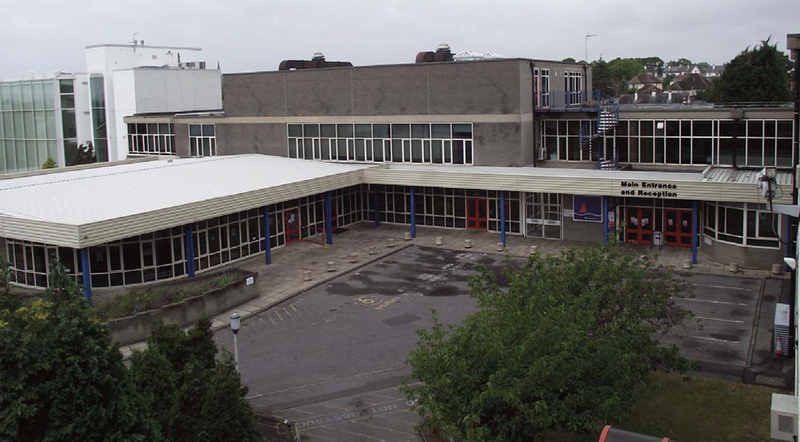 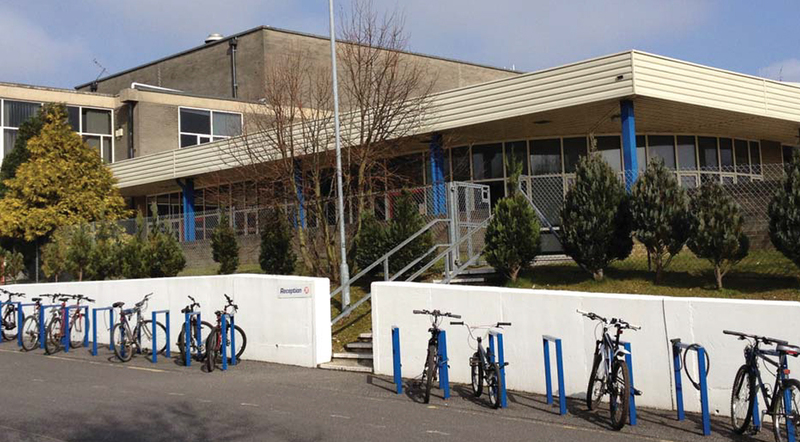 Additional works included refurbishment of spiral staircases, two areas of new curtain walling, replacement of entrances, refurbishment of main doors and over-spraying of the main doors, refectory curtain wall frames and posts supporting the refectory roof to complement the new overcladding colour scheme. 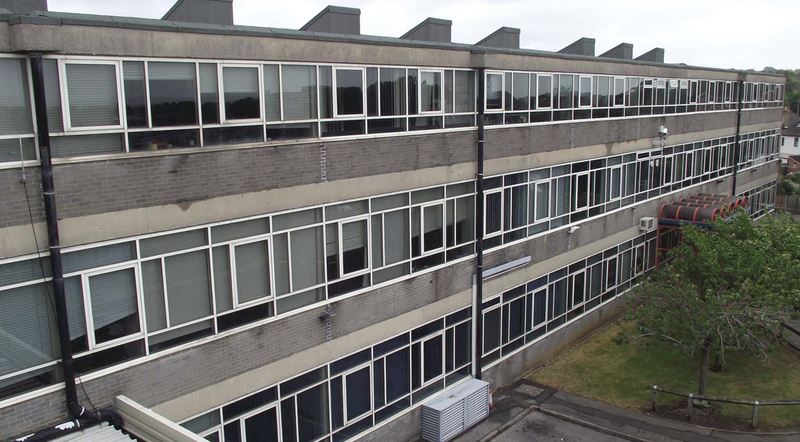 As part of this comprehensive refurbishment project the fenestration was reduced, notably the large windows on the upper floors. 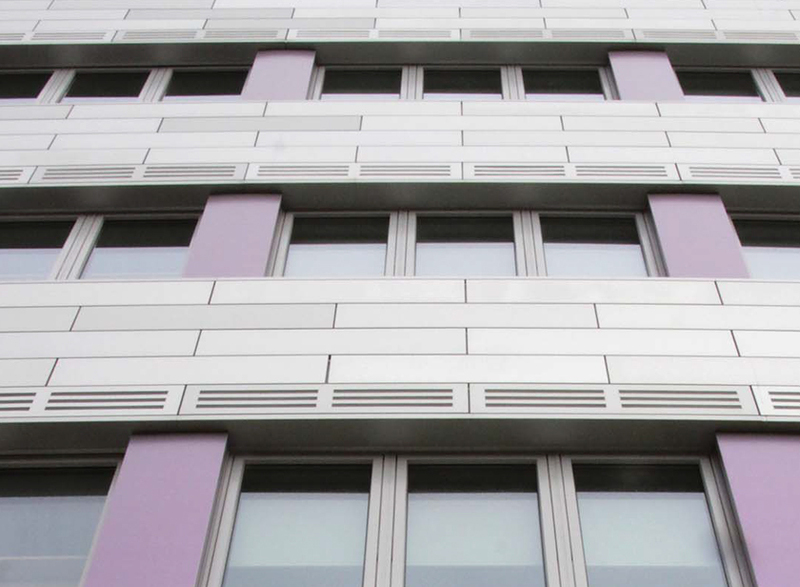 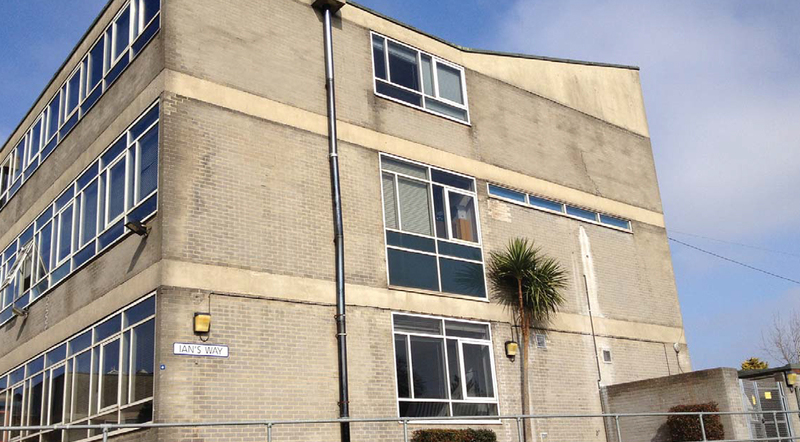 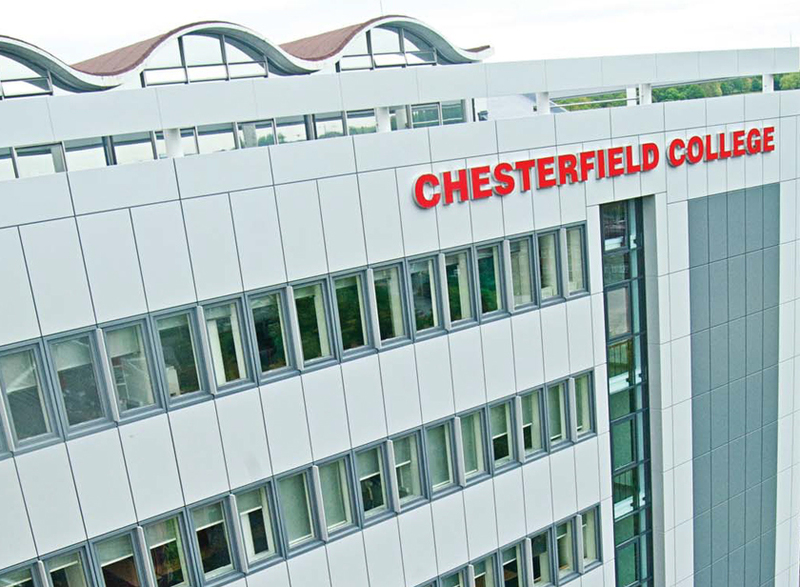 “This overcladding project transformed a dated 1950’s building into a modern energy-efficient building with Phase I being completed in a remarkable twenty week period. 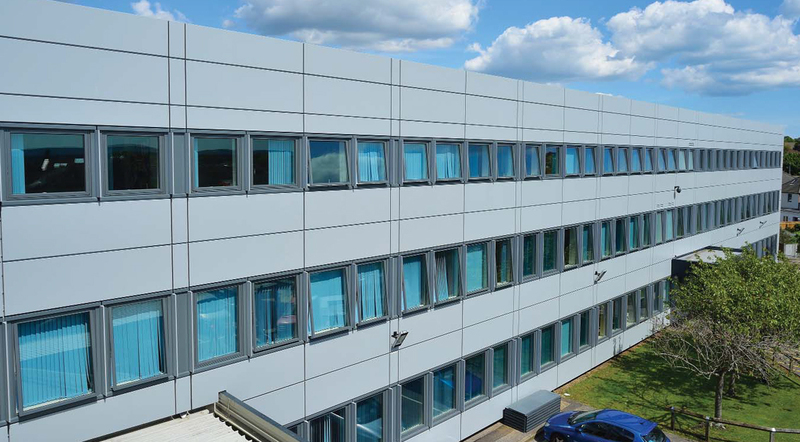 The project included an additional layer of insulation to the outer building, prior to the installation of the cladding, modern double glazed units complete with new internal window finishes that have significantly improved the internal environment.